I’ll be attending one of my favorite conferences is coming up on Oct 4-7 in Cleveland, Ohio. Bouchercon is a world mystery convention that has been taking place annually since 1970. It’s open to anyone and is a place for fans, authors and publishing industry professionals to gather and celebrate their love of the mystery genre. It is named for a famed mystery critic Anthony Boucher. During the convention there are panels, discussions and interviews with authors and people from the mystery community covering all parts of the genre. There are signing events for people to meet their favorite authors face-to-face and get books signed. Bouchercon also has the Anthony Awards which are also named after Anthony Boucher. These are voted on by the attendees and given out during the convention. For more, click HERE. Guests of honor for 2012 include: Elizabeth George, Robin Cook, Mary Higgins Clark, Les Roberts, Librarian Doris Ann Norris, and toastmaster John Connolly. HERE is the attendees list for 2012. I’ll be on two panels—one for my Young Adult books and the other for Romantic Suspense with some amazing authors. We may have a mystery guest on our Romantic Suspense panel. If you’re attending, you’ll want to check it out. The Popularity of YA Books panel - How do authors appeal to young readers and keep them interested in reading? Book signing will be held in the dealer room following the panel. Joining Jordan will be Michelle Gagnon, Joelle Charboneau, Bev Irwin, and moderated by Keir Graff. Prior to the panel, Mike Bursaw will host a “Booze & Broads” signing event at the Mystery Mike’s booth in the dealer Book Room for the authors. Alcoholic libations will be served, a shot at a time. 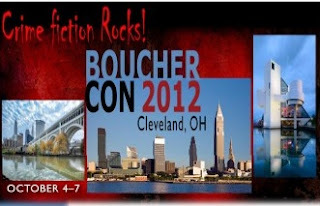 Anyone going to Bouchercon 2012? Have you ever been? I’d love to hear from you or see you there. 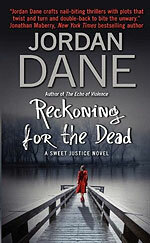 BIO: Avon/Harpercollins launched Jordan Dane's debut suspense novels in a back to back publishing event in Spring 2008 after buying the 3-book series in auction. Pursuing publication since 2003, Jordan had received awards in 33 national writing competitions and was an energy sales manager in the oil and gas industry prior to selling. Now she is following her passion and writes full time. Ripped from the headlines, Jordan's gritty plots weave a tapestry of vivid settings, intrigue, and dark humor. She loves challenging a reader's moral barometer with the borderline ethics of her characters and their flawed personalities—dark, angst-ridden antiheroes pitted against unforgettable villains. Publishers Weekly compared her intense pacing to Lisa Jackson, Lisa Gardner, and Tami Hoag—"romantic suspense that crosses over into plain thriller country with tight plotting and exceptional male characters, both bad guys and good." Thanks for posting a feature on Bouchercon. This is an amazing mystery conference focused on readers. Loads of fun. It will be my third. I'll be tweeting during the con and posting pics of anything I see. Wow, great panels!!! Wish I could be there! I’ve heard many good things about this conference. I’d love to go sometime but it would have to be as a reader. My writing tends to be more thriller. Many of my fav authors are attending. Sigh. I’d love for you to come back and tell us all the scoop about it. Have a great time.